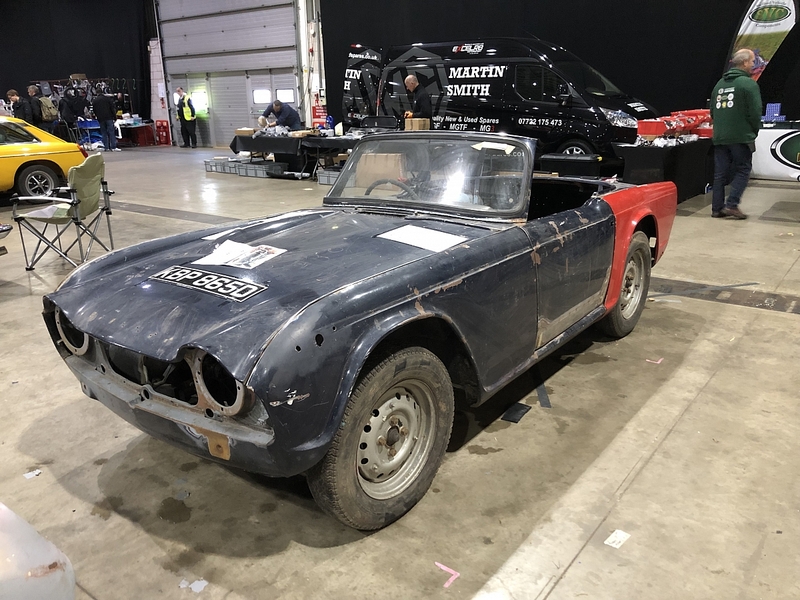 MG and Triumph Spares Day, Stoneleigh: Show Report. 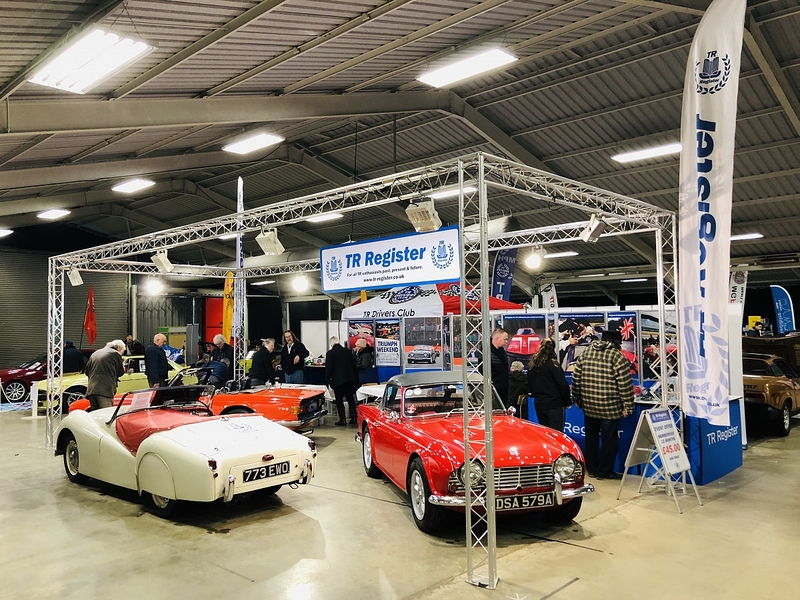 The MG and Triumph Spares Day took place at the National Agricultural Centre, Stoneleigh on Sunday 10th February 2019 and once again attracted thousands of fans from both marques to hunt out parts and bargains to start the year. Many of the familiar TR specialists were in attendance offering money off show deals, lots of advice and a chance to buy in person. There were plenty of auto jumble stands run by members with large collections of parts for sale as well, offering a chance to find second - hand, hard to find parts amongst the three halls of exhibitors. Whether it was tools, books memorabilia, parts or tuning items - there was something for everyone at the show. TR Register Insurance were also in the main hall showing off their new company car - a Triumph 2500 estate! 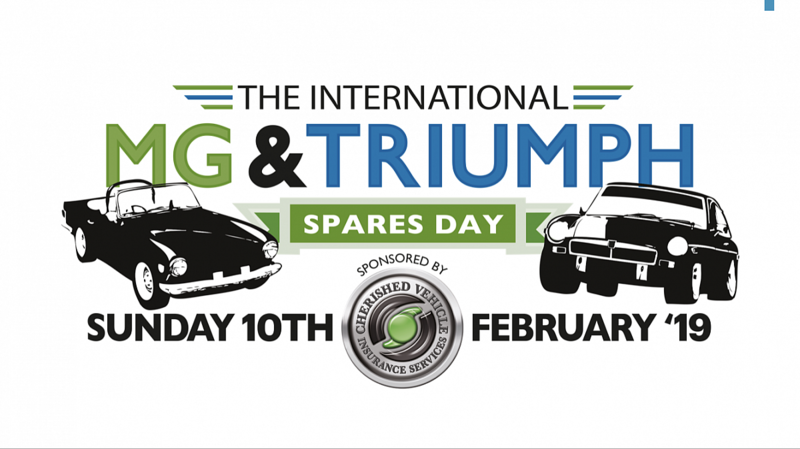 All clubs involved in the Standard and Triumph scene also offered displays alongside our friends from the MG world. 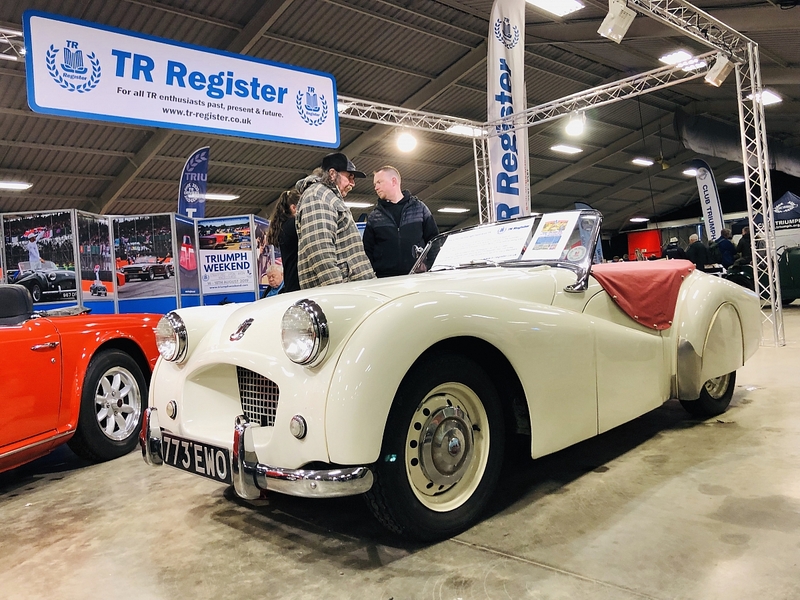 The TR Register offered a selection of regalia and memorabilia for sale, plus free tea and coffee for all members to keep those in attendance warm and refreshed in the cold halls! It was impressive to see just how many TRs had been brought out in the chilly conditions to park in the indoor parking area. 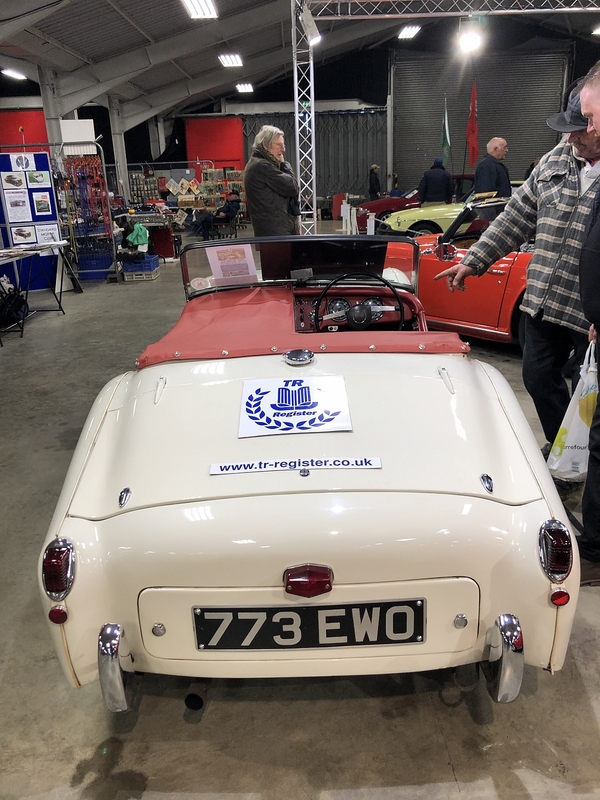 On the TR Register display was our very own TS2 alongside two cars from the local area, a TR6 in it's anniversary year and a left hand drive TR4. Many thanks to all the volunteers for manning the stand, especially Andy and Lyn Marshall who made the tea and coffee plus supplied biscuits all day! Next show for the club is the London Classic Car Show at Excel.